So Wednesday morning I had a lot of trouble getting awake (shocker!). This wasn't a huge shock to me considering the hard workouts I had done Tuesday. To top it off, I gave blood at work through the Central PA Blood Bank. So Tuesday night I hate a good meal and drank fluids, blah blah blah, all the good stuff they tell you to. Well, apparently this was no where near enough because I seriously thought I might die during Wednesday's attempted AM run. I ran a million one mile and stopped to walk, and felt my heartbeat LITERALLY beating in my throat. So I walked until it stopped. Then I ran again, and walked, and ran again. I ended up running about 1.6 miles of what felt like absolute death and torture. I don't think I have ever felt so wacky in my running life- not even when I was first learning to run. 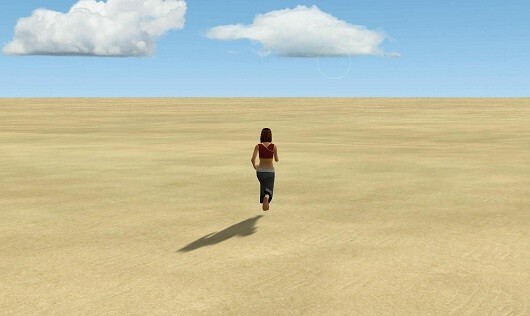 I really felt like I was running in the middle of the sahara. I mean, I know I need to readjust my running and re-adapt to the heat (weren't we just complaining about how cold and snowy it was??) but this was just ridiculous. I am going to go with not being refueled with blood just yet. Let's hope so! !